Take a Look at Some Of Our Custom Vinyl Windows Below! Vacaville Glass provides beautiful custom vinyl windows to Davis, Dixon, Fairfield, Vacaville, Napa, CA, and the surrounding areas. 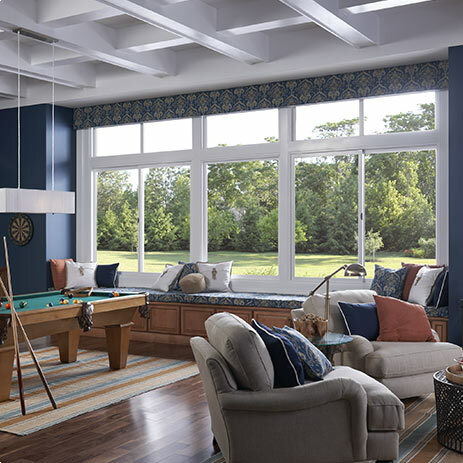 We offer a wide range of various vinyl window styles, including bay windows, horizontal sliders, picture windows, and much more. Browse through our menu above for more information about each type of vinyl window we carry. We even offer vinyl window installation, so you don't have to worry about anything but selecting your window type. To learn more about our vinyl windows, give us a call today! We're the #1 vinyl window provider for Dixon, Fairfield, Davis, CA, and beyond.